There are millions of books are out there in the world. I made a couple of them. 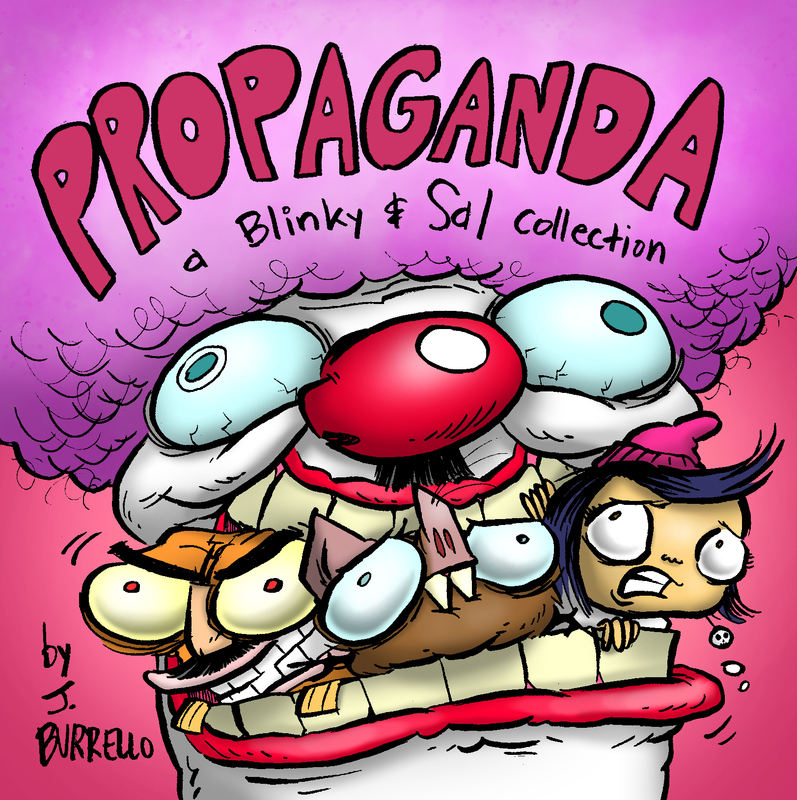 A collection of the first five chaotic years of Blinky and Sal comics. From its awkward conception to its finalized four panel format. It’s 130 pages that don’t let up. Adventures, standalone gags, the origins of characters that would become regulars, and more! The second Blinky and Sal print collection. More comics. Sleeker book. More existential dread. More quirk. More blasphemy. Neil DeGrasse Tyson runs amok, Tim the Pervert Tree survives despite it all, and Spatsby gets a Near Death Experience. A picture book for kids about a shy cow that can’t stop growing. As she runs from her problems, she is pursued by a greedy farmer, a hungry bear, and a vengeful pirate. I always loved cows. This is just a cute, little adventure for others who do too.